Jiří Pehe studied law and philosophy at Charles University in Prague. 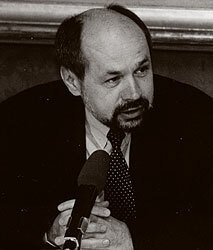 Active member of many international organizations, he has written hundreds of articles and analytical studies on developments in Eastern Europe for American, Czech, and German periodicals and academic journals, and he is a regular contributor to various Czech newspapers and regularly comments on political developments for Czech Television. He co-authored and edited a book titled The Prague Spring: A Mixed Legacy (Freedom House in 1988). Jiří Pehe served as President Havel's adviser and is currently director of New York University in Prague.